Want to say “I Love You” in a healthy way? 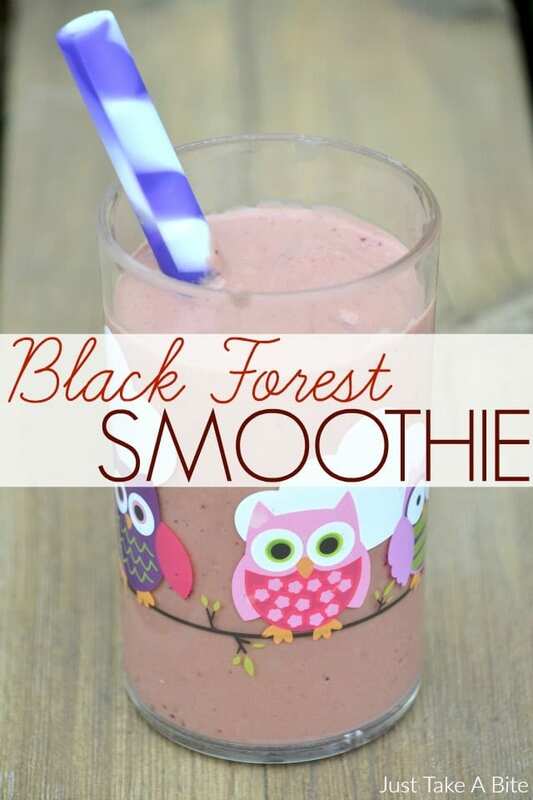 Show your kids some extra TLC with a black forest smoothie. It not only combines the delicious flavors of chocolate and cherry, it is also packed with nutrition! Way to go! You’ve gotten a great start to the new year. Everyone is eating well, getting good rest and moving their body each day. Isn’t January great? Then February approaches. So do the sweet treats! Don’t panic. This year take a new approach to Valentine’s Day or any holiday. Instead of showing your love with boxed chocolates and candy, promote health and wellness to show you care. It is the gift that keeps on giving. One way to do that is by creating nutrient dense food that still tastes great. This black forest smoothie is a great place to start. Whether you serve it for breakfast, a snack or even dessert you’ll be doing your kids a favor. They taste chocolate and cherries. You see them filling up on healthy fats, protein, probiotics and vitamin-rich fruit. If you really want to bump up the nutrition factor you can add avocado, chia seeds, flax seeds and collagen. That sounds like a delicious and nutritious breakfast! The perfect way to show your kids some love. 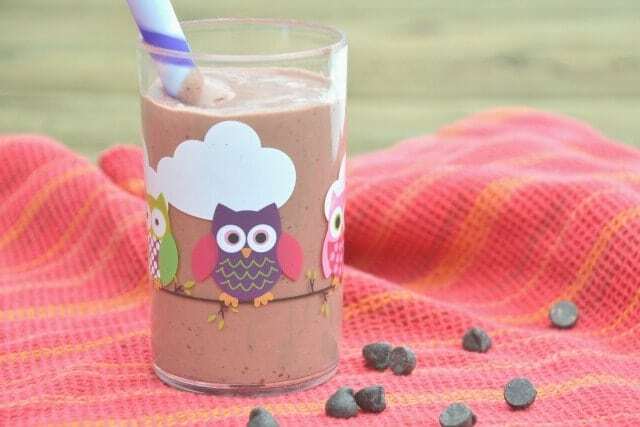 If you want to add chia seeds and flax seeds to the smoothie without your kids complaining about the texture, add a few chocolate chips as well. They will all taste like little bits of chocolate. Any kind of yogurt you tolerate will work (dairy, goat’s milk, coconut, etc.). The cocoa powder can also be replaced with carob powder. So this smoothie can be made to meet most allergy needs. 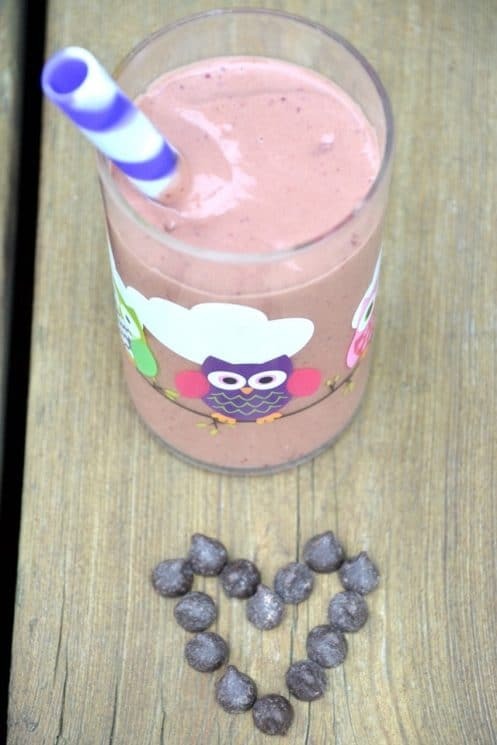 Fresh or frozen cherries work for this black forest smoothie. If you like it a little tart use tart cherries. If you prefer sweet go for sweet cherries. The tart cherries will add more flavor, but kids might prefer the mild flavor of sweet cherries. If you add a few whole cherries and serve it with a spoon, it’s like a little black forest dessert. A smoothie is a great tool for adding extra nutrition. Avocado creates a rich, creamy texture to this smoothie. It’s almost like a chocolate milkshake! A big scoop of grass-fed collagen for protein and tummy healing completes this delicious drink. This February show the whole family some love with the gift of nourishing food and health. Skip the heart candies. 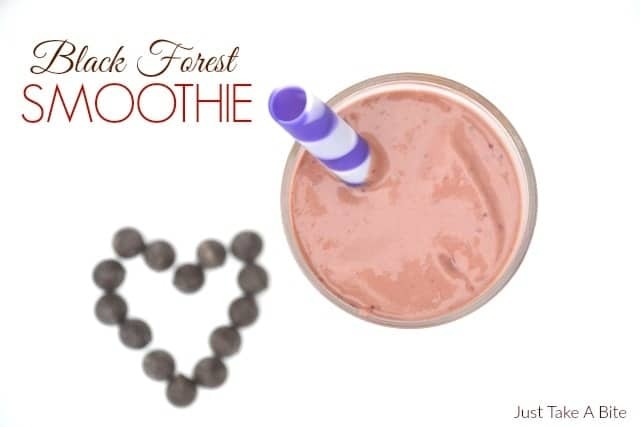 Instead keep your healthy lifestyle going by serving up a black forest smoothie to start the day off right. Looking for another new smoothie to keep your kids feeling great this month? 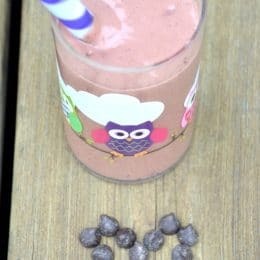 Try The Health Nut Smoothie! It has fruits, vegetables, seeds, the whole works. Blend on high until pureed. Add chocolate chips, flax and/or chia if desired. Blend for a few seconds to break down but not fully puree. Serve immediately or store in the refrigerator until ready to serve. This makes one large serving for a child. Mary !!! Super blog and amazing blog post!!! Love the fun that goes into healthful and wholesome food for your little ones. I felt there was too much salt in this, I will try and make this without the salt or just a pinch of salt. The salt was a bit overpowering. I added a little oat milk, 1/2 avocado, and another tablespoon of chocolate. Even BETTER than the first time! ?